I've had Jenny for about a year now, she is just over a year old. 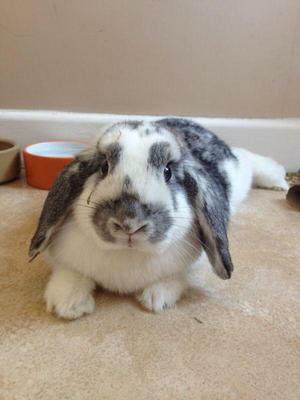 I have a butterfly lop called Johnny who is bonded with Jenny - he is very obviously a dwarf lop - short face, long ears etc. 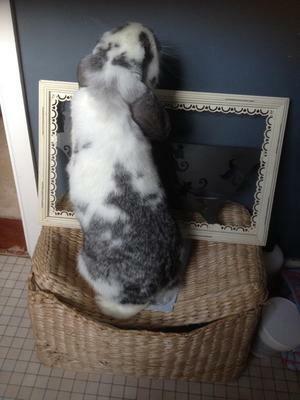 Jenny has similar features - the same butterfly markings, lop ears (though hers tend to point outwards more than Johnnys do) but her body shape is very different - she stands a lot taller than lops I've had. She is also a lot larger than other lops I've had. I'd say the biggest difference seems to be her face shape which I tend to describe as 'noble'! 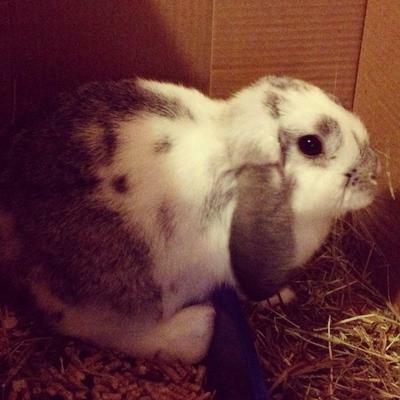 It is a lot more pointed and angular than Johnny who is a typical flat faced dwarf lop. Comments for What breed is my baby?! 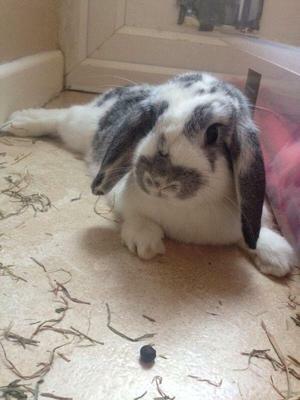 Your rabbit can be any type of lop.